Max Stone had the perfect life. He was married to the love of his life and they had beautiful twin children. But it was all taken away from him when a man walked into his children’s classroom and started shooting. Years after the tragedy, Max has been given a second chance to find love and happiness all over again. Will he be able to rectify the past or will he fail to learn from history and forever be pulled into the darkness? A Matter of Time is Jack McClane's debut novel. It is set in Brisbane, the capital city of Queensland, Australia. 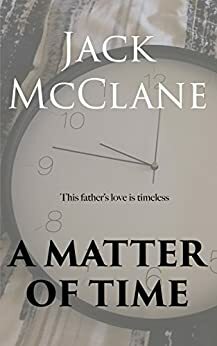 In this fast paced suspense thriller set amongst the backdrop of a love story, Max Stone, who has had his fair share of tragedy in his life, has the opportunity to finally live the life he so richly deserves. But can he put the past behind him or will the future just be history repeating? Jack McClane lives in Brisbane, Australia with his fiance, Kate and their children. A Matter of Time is Jack's debut novel. He first started writing it in October 2010. He has written the bulk of the book since November 2017.